One of the UK’s leading retailers, with over 21 million people visiting their stores each week, Marks & Spencer offer stylish, high quality, great value clothing and home products, as well as outstanding quality foods. 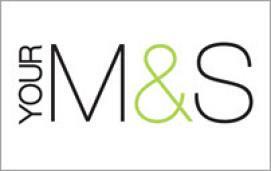 Marks & Spencer E-Gift Cards are an irreplaceable way to unlock thousands of unique products, found only at Your M&S. Our E-Gift Cards can be used online and in-stores throughout UK.